De handige doe-het-zelf site wikihow.com vertelt je hoe je werkelijk alles zou kunnen doen. Van het plakken van een fietsband tot aan het ontstoppen van je gootsteen - en tot aan het schrijven van een fan fictie! Toen we dit artikel lazen, vielen met name een aantal opmerkingen én hun bijbehorende plaatjes ons op. Grappig, leuk om te lezen, en zeker nuttig om in je achterhoofd te houden als je zelf schrijft. 1. Imagine "what-if" scenarios for your source material. All fanfic is based on speculation. Whether you decide to write a sequel to the work or an alternative history, everything is based on that first "what if" question. What if a certain character died (or didn't die) at a certain point in the story? What do you think happens after the credits roll in a movie? Another common question discussed in fanfiction is "What if this character and this character were a couple?" This is called shipping and is a common, if not overused, source for fanfiction material. 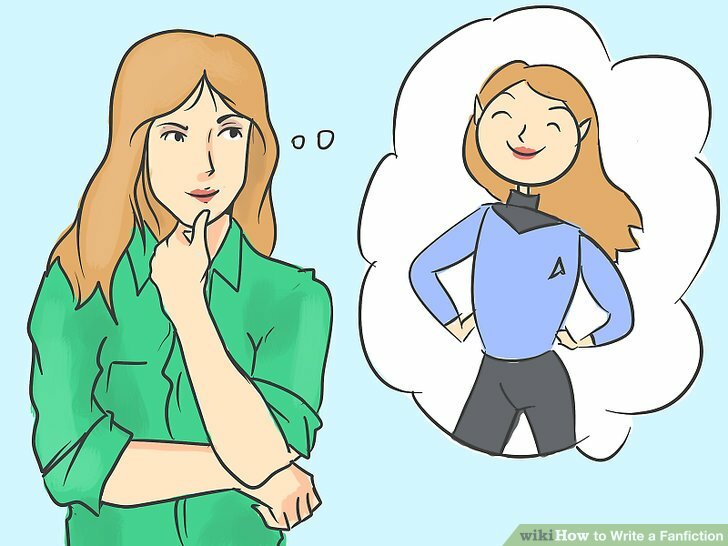 Ask yourself these questions in the early stages of planning a fanfic. Explore the source material more if you are having a hard time finding a creative starting point. Failing that, look into more fanfic. It can be inspiring to see where other people have gone with it. Some writers even write themselves into a fanfic, where they interact with the characters themselves. A character meant as a stand-in for the writer is known as an "avatar". 2. Consider writing a crossover fanfic. Crossover fanfiction refers to a genre of fanfic that combines characters from different fictional universes together. Like chemistry, the possibilities become virtually endless when you decide to mix two different things together. There tends to be a lot of very bad crossover fanfiction around, in large part due to the fact that it takes far more tact to harness multiple universes at once. However, they offer a lot of amazing opportunities to a prospective writer. An example for one crossover might be putting the characters from Star Wars in the Star Trek or Mass Effect universes. 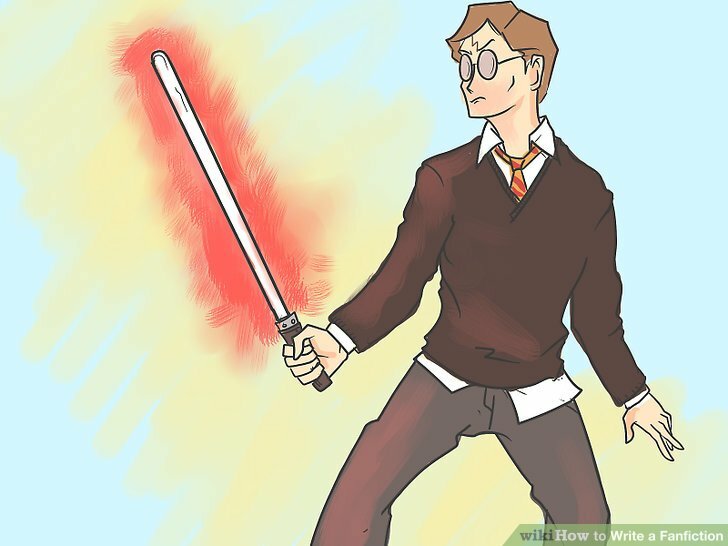 It is recommended you try your hand at a crossover fanfic if you're torn between writing about two or more different universes for your next fanfic. 3. Decide how true to the original you want to be. Because fanfictions are incredibly diverse, it's a good idea to figure out where you will stand relative to the rest of it. Some fanfiction will run amok with the source material to the point where it has no resemblance to the original. Others will try to create a true-to-form expansion of the original. Generally speaking, no matter where you go with it, the strongest fanfics at least retain the spirit of the source original. It's a good idea to consider the concept of "canonicity". Put simply, canon states whether something 'is or isn't' in a fictional universe. 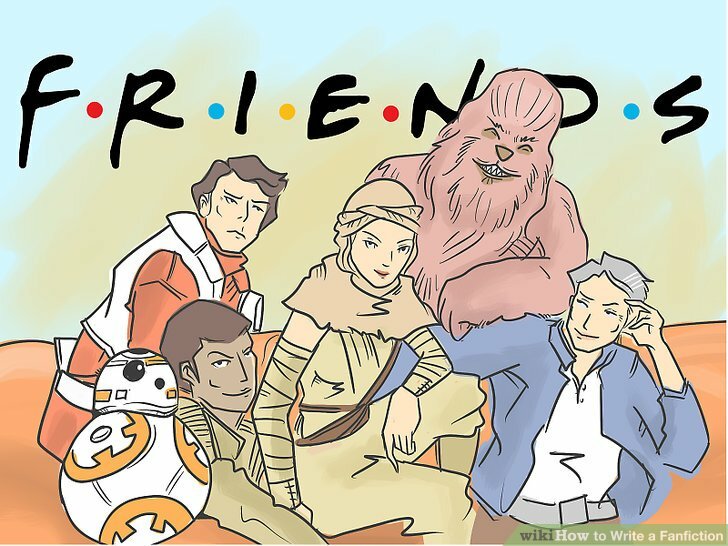 Portraying Star Wars' Han Solo as a swashbuckling rogue may be true to canon for example, but writing that he is a fan of the 90's sitcom Friends would certainly not be canon. 4. Stay true to your characters. While settings and story can be changed with more liberty, readers are not going to like it if you are changing the characters themselves. A character is much more than a visual appearance, and while your creative instinct should have the final word in all cases, you may as well have been writing a different name where theirs should go if you're making them do something they wouldn't do from the start. Keep in mind that this is different from consciously trying to rework your characters. One example where radical character changes work is in the case of 'mirror universe' fics. 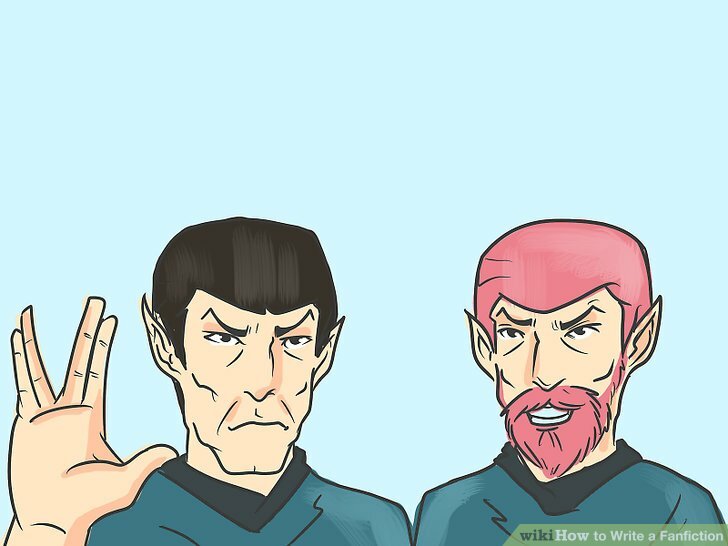 Generally inspired by the Star Trek alternate universe episode, you could write a fanfiction that takes place in a mirror universe, where characters are an evil twin version of their official selves. Adding a beard or goatee to your characters to signify their evilness can be fun, but isn't necessary.